The Watson is the character whose job it is to ask the same questions the audience must be asking and let other characters explain what's going on. Distinct from Mr. Exposition in that The Watson is The Storyteller archetype, and often allows another character to become Mr. Exposition within the story's context. Generally, female variants of The Watson will have a bit more Character Development and a larger role within the story (but not too much larger). She will be inevitably attractive, serving a dual role — giving the children someone to like and the adults someone to tune in for. Children have it easier. Constantly Curious is a popular device, and may even force Mr. Exposition into that role. An Idiot Hero (or at least a Book Dumb character) is also a common target. Playing The Watson is also referred to as cabbaging, since this role could be played by a head of cabbage. Science fiction fans may know this character as The Sarah Jane, after (arguably) the most popular of the many companions who had things explained to them on Doctor Who. In fact, actress Louise Jameson, who played another of the Doctor's companions, explained her decision to leave after a relatively short tenure as being motivated by the fact that "There are only so many ways you can say 'What is it, Doctor?'" On occasions, you get The Watson being cleverer than Mr. Exposition, which results in some problems, but occasionally works. However, another popular interpretation (especially common in Flanderizations of the Trope Namer) is to play up the Watson's constant need to question everyone else into comedic stupidity or thickness, making the Watson also a Comic Relief. This version is usually male. Often in fantasy settings, The Watson is the character with more "real world" sensibilities (sometimes because he's been transplanted from the real world: John Crichton (Farscape) often got to act as The Watson in early episodes, for example; other times they're an everyman among a group of specialised professionals), prompting Mr. Exposition to explain the "rules" of the fantasy world. In parody, it is becoming increasingly common for The Watson to be a character who isn't genre blind to the sillier tropes, often making Mr. Exposition look like something of a buffoon (as in Austin Powers: International Man of Mystery, where Scott Evil asks why his father doesn't just shoot Austin, instead preferring to put him in an easily escapable Death Trap). Aside from serving as an Audience Surrogate, the Watson can also play an important but often overlooked role in the story itself. As many of the examples show, the Watson's comments and actions often help the detective in figuring out the mystery. While the Watson may not be able to solve the cases himself, he often gives the detective the final crucial insights that point him in the right direction. They are also often a doctor, to give them a valuable skill that won't show up in the hero. See also The Snark Knight, who makes similar observations but is much less inclined to assist afterwards. Also see Naïve Newcomer. Sometimes The Watson will overlap with First-Person Peripheral Narrator, which is when the story is narrated by someone other than the main character of the story. This may lead to As You Know if the Watson character is supposed to know about the info already (so it only serves as an exposition to the audience). Has nothing to do with the Jeopardy!-winning IBM supercomputer of the same name, awesome as it is. Except that they both usually speak in the form of a question. We rarely ever get a first-person perspective on Akagi's thoughts - as the point of view is mainly given to Yasuoka (oddly enough a detective), who observes and attempts to decrypt Akagi's genius from the sidelines. In Death Note, Ryuk, a shinigami, often acts as The Watson to Light's plans. That is, when he's not just standing behind Light silently chuckling. Or standing on his head. Touta Matsuda in the same series is used as The Watson for the police side of events, mainly due to his being a male version of The Ditz. Amnesia!Light and Watari are also this to L, being just different ages in Watson. Manta Oyamada in Shaman King acts as The Watson to Yoh Asakura, being the narrator but not The Hero. Hiyono in Spiral tends to get dropped into this role, and if she isn't, Kousuke is. Hiyo-Hiyo is reasonably clever, and Kou-chan even more so, but that doesn't say much when the entire main cast is made up of child prodigies. Normally intelligent Chachamaru in Mahou Sensei Negima! was always and entirely uninformed of any fighting style during the Mahora Tournament. Giving us Explainer Goutokuji for this portion of the series. Normally Asuna, Nodoka, Konoka, and Chisame serve this purpose. Yue bounces between this and Mr. Exposition depending on where in the series you are. When it comes to fighting Negi takes this role, giving the big Exposition talk to Kaede (Ninja), Ku Fei (Kung Fu Master), Kotaro (Dog Demon Brawler Ninja), or Evangaline (Really Old Vampire). Despite being from the same magical world as everyone else, Gourry from Slayers was enough of an idiot to have to ask questions about what the other characters would consider basic, everyday facts, giving them a reason to explain the rules and mythology of their world. In the original Light Novels the anime is based off of, protagonist Lina herself is the narrator and Gourry, while still uninformed, is no where near as idiotic. The titular character of Naruto frequently had to play this role early on, being a shining example of Book Dumb. It's almost mystifying that ten episodes in you'll probably know more about the geography, Functional Magic, and infrastructure of the story's world than he did when he graduated. note This is likely why he failed to graduated so many times. Akari from ARIA has some of this. Alicia could have picked a local girl for an apprentice, but instead she chose someone who needs a lot of explanations about the planet she moved to—which then of course raises the question why Akari didn't read a travel guide beforehand. Detective Conan: Depending on the case, and which characters are present at the time, any number of characters will play Watson to Conan's Holmes... Ai, the Detective Boys, Ran, the cops, Eri, Jodie, etc. Conan pretends to be The Watson to Kogoro (the only professional detective in the series), even though he is invariably the one solving his cases for him. On the evil side, Vodka plays Watson to Gin. Since Gin is both smarter and higher-ranked than his partner, he often has to explain his plans and the Organization's to Vodka and thereby the audience. Kuwabara from YuYu Hakusho is the guy who asks the questions so that Hiei and Kurama can avoid having to use As You Know when being Mr. Exposition. When he got Put on a Bus in the final season to pursue a higher education, the anime attempted to spread this role out amongst the other characters; it didn't work out too well. Elsee in The World God Only Knows is often asking why Keima is doing what he is doing. The explanations, however, are not always comprehensible (and are often funny because of that). Roji tends to play this role in Muhyo and Roji, often about the workings of magical law or Muhyo's past. Other times, the clients ask the questions. Kotori Mizuki of Yu-Gi-Oh! ZEXAL is this in regards to the card game. Nonoha in Phi Brain: Puzzle of God serves this role as the rest of the main cast are puzzle-solving geniuses, so she gets to stand in for the audience and ask any questions needed about the various puzzles they are confronted with. In Bakuman。, Takagi served this role in the first volume, asking Mashiro about how the manga industry worked (Mashiro happened to have a mangaka uncle). Later on, Miyoshi filled this role as the characters became more familiar with the industry. Mahiro Yasaka from Haiyore! Nyarko-san gets to play an odd combination of Watson and Mr. Exposition thanks to his unique position in the story. As an Ordinary High-School Student, he needs explanations about the aliens he and Nyarko encounter; however, as a fan of the Cthulhu Mythos, he can exposit a little about what said alien is within the context of Lovecraft's works once Nyarko has given him a name to work with. Jigen serves this role to Lupin during Lupin III: Dead or Alive. It's as if Jigen was waiting until the two are actually trying to steal the national treasury before he learned what was going on. Considering his laid-back personality, that may be exactly what happened. Stephanie Dora from No Game No Life assists the audience in understanding Sora and Shiro's complicated game strategies. She actually has an at least average intellect but appears rather dumb in comparison to 『　』. Ao no Kanata Four Rhythm: Kurashina, who has dreamt for years of flying, enrolled at a school where everyone has flying shoes, yet has never heard of them before. This is graduate-level cluelessness, so everything gets explained to the audience through her. The Promised Neverland has three protagonists, Norman, Ray and Emma. The latter is usually the one who has to be explained the plans the first two come up with to prepare their escape from their People Farm. She's supposed to be one of the smartest kids in the orphanage, but is still a bit behind the other two when it comes to analysis power. In Dr. Stone, the stone world villagers Science Hero Senkuu meet all play this role to varying degrees when he starts talking about the things he wants to accomplish by bringing technology back to the world. Of these characters, Chrome has the most knowledge ahead of time because of his own experiments but still needs the more advanced principles and applications of science explained to him. Robin was an outgrowth of a conversation I had with Bob. As I said, Batman was a combination of Douglas Fairbanks and Sherlock Holmes. Holmes had his Watson. The thing that bothered me was that Batman didn't have anyone to talk to, and it got a little tiresome always having him thinking. I found that as I went along Batman needed a Watson to talk to. That's how Robin came to be. Rick Jones of various Marvel Comics sidekick roles. Though sometimes his leading Hero would be the Sherlock, sometimes various experts would be the Sherlock, but most commonly after getting captured, Mr. Exposition would be the one who was supposed to be interrogating him. Crispus Allen plays the Watson in the early issues of Gotham Central, and occasionally later on. As a transferred officer from Metropolis, Allen did not have extensive experience with the "freaks" (supervillains) of Gotham City, so other characters would explain their means and methods to him, simultaneously infoming the audience as well. This particular facet of his character was dropped after a few issues, when he already had his own personal experiences with the rogues of the city, but he would later serve as the Watson on more complex issues when characters needed to highlight personal and societal points about Gotham City itself, such as the reason why Batman is important to Gotham for more than just the crimes he stops. Once she learned his secret identity, Peter Parker's wife, Mary Jane Watson occasionally served this role for him, asking him things about the superhero business. One of the best examples of her being used in this fashion was in the story Hobgoblin Lives! where Peter had to fill her in on the background for the story (since the stories it happened in were written years ago) and she asked the simple question that led to a plot breakthrough. And yes, we are aware the Incredibly Lame Stealth Pun at work here. In Doctor Strange: The Oath, Night Nurse is along for the adventure at her own insistence (Strange has been wounded and she is a physician). Strange's assistant Wong is also present as a sort of minor Holmes/experienced Watson, answering some questions and asking others. Usagi Yojimbo: Inspector Nii sometimes serves as this to Ishida, who needs to explain the situation. Other times he explains if to Usagi or a superior. In Marvel's comedic spoof, What... Huh?, one issue parodying X-Men has the Cyclops-expy explain this as being Rimshot (Longshot expy)'s role in the team. As the newest team-member, Rimshot has the right to ask stupid questions. At the very least, it gives him something to do. In All Star Western, Dr. Arkham serves this role for Jonah Hex, being the naive outsider to whome Hex explains the realities of the Old West. In Luminosity, Bella sets up some scientific experiments to prove that the Cullens are really vampires...and once she's convinced she's just fascinated with the fact that they exist and generally tries to learn more. About everything. In The Tainted Grimoire Luso, and to a lesser extent Hurdy, get things they don't know about explained to them by other characters. In the Tamers Forever Series, DC fills this role around Gabrielle during Silent Sorrow. Turnabout Storm: Phoenix plays this role everytime Equestria and its workings get involved or are discussed. As a character from a mostly realistic setting, he casts doubt on and asks the same things viewers unfamiliar with the Friendship is Magic series would. Word of God says that Wybie was added to the Coraline film adaptation because, unlike the book, a movie can only exposit through spoken words; they just didn't want Coraline to be wandering around talking to herself. It works both ways, since Wybie provides her with exposition about the house and the disappeared children. Also, the fans love him because he's Adorkable and the two kids have moments of Ship Tease. The narrator of Das Boot is a Naïve Newcomer who has naval experience on surface ships but this is his first voyage on a submarine. He's on board as a journalist, thus it's his job to be inquisitive about everything, and pass on his knowledge. He has the crew and officers sometimes pause to explain what they're doing to him but he often has to figure it out by observation. Jack Ryan in The Hunt for Red October plays The Watson for all the submarine action, letting the boat captains play Mr. Exposition. Similarly, Seaman Beaumont plays The Watson for sonar terms, letting Sonar Technician Jones explain everything. In the DVD commentary for Ghostbusters (1984), Ivan Reitman says the character of Winston Zeddmore was intended to serve this purpose. Marty McFly fills this role from time to time in Back to the Future trilogy, so Doc can explain some of the time travel mechanics. Massively subverted by Donnie in The Big Lebowski, who is utterly Locked Out of the Loop. Forget it, Donnie, you're out of your element! In the movie Fantastic Voyage, and in the Isaac Asimov novelization, The Watson is secret agent and former combat swimmer Charles Grant. Asimov's version makes him a bit less of a dunce; on occasion, Grant can actually figure something out from his general knowledge of human anatomy, instead of needing the knowledge spoonfed to him. Averted by Watson from Sherlock Holmes (2009). He is less Watson-y than Watsons from almost any other adaptation and shows intuitive and deductive skills which he picked up from his time working with Holmes. This is truer to the original Watson: a skilled and intelligent medical practitioner, decorated war veteran, and good man in a brawl. In Sherlock Holmes: A Game of Shadows, he and Simza save the day with deduction and quick thinking while Sherlock and Moriarty are having their little scuffles outside. On the other hand, Nigel Bruce pretty much created the "Bumbling Watson" stereotype when he was teamed with Basil Rathbone's sharp and decisive Holmes in 1940s film and radio. Even so, in the radio series Bruce's Watson was given a few occasions to explicitly show that, while he was a lousy detective, he was an extremely competent doctor, able to diagnose medical problems as quickly and easily as Holmes could deduce anything else. John Myers in the first Hellboy movie, especially since no such character exists in the comics. James Edwards/Jay in Men in Black, who's new to the MiB organization. In the second film, Kay fulfilled this role, having had his memory wiped and thereby needing reminding about the various duties and technologies of MIB. Dr. Karen Jenson in the first Blade film. She's left out of the remaining series because there's no need for her anymore. In Amadeus, the priest to whom Salieri tells his story. Vittoria Vetra in the film adaptation of Angels & Demons. Thanks to editing for time constraints, it's pretty much all she's there for. Ariadne in Inception. She asks the questions about inception and extraction that the viewer would be asking. Saito is also this to some extent, at least in the beginning of the film. Apollo 13: Jim Lovell's youngest son, Jeffrey, asks his father about his upcoming mission, i.e. how long it'll take to get to the moon and the function of the lunar module. Jim also explains what went wrong in the Apollo 1 disaster, briefly depicted in the beginning of the movie. Thor's Darcy asks genius astrophysicists Jane and Erik to translate their Technobabble. A role enthusiastically taken up by Captain America, who has no scientific background and hasn't seen technology since the forties, in The Avengers for Tony Stark and Bruce Banner, who use their scientific expertise to hunt down the Big Bad. Caleb from Ex Machina. He often asks the same kind of questions the audience is thinking of so that Nathan can provide the exposition. Jacob Kowalski in Fantastic Beasts and Where to Find Them serves this role, being a Muggle (or No-Maj, as they're called in America) and therefore needing to have various aspects of the magical world explained to him by the wizards he accompanies, especially those not previously explored in the Harry Potter films. The Ex-Mrs. Bradford: Paula is the female variant that plays a bigger role than the usual Watson, but she asks most of the questions. The trope namer is Dr. John Watson, the narrator from the Sherlock Holmes stories by Arthur Conan Doyle, who often asks the title character to explain his baffling logical leaps. Holmes then explains the logic used in solving the case, allowing the author to describe the finer points of the story without disrupting the narrative flow. Unlike the character found in some lesser adaptations, Watson is not a chubby dullard, but a very intelligent and bold man who occasionally contributes his own observations to cases, though he is not always completely correct. Holmes often makes use of Watson's medical knowledge and fresh perspective to keep his deductions sharp. Being a doctor, his medical knowledge is often indispensable to Holmes' work, and he knows more of anatomy than Holmes. In A Study In Scarlet, a puzzled Watson rattles off all the unanswered questions about the case, and Holmes commends him for pointing out the main difficulties. It's implied that Holmes is glad to have someone who he can fruitfully discuss the case with, which is more than can be said for Inspectors Lestrade and Gregson. Holmes even acknowledges Watson's importance in providing him with critical insights, saying, "...you are not yourself luminous, but as a conductor of light, you are unparalleled!" In a few comments and the stories written from Holmes' own perspective, it's revealed that Watson intentionally leaves elements he noticed himself out of the stories just to make the reveal at the end more surprising to the reader, a practice that greatly annoyed Holmes. In fact, Watson often doesn't act very much as The Watson (i.e., asking Holmes to explain what's going on throughout the plot) because Holmes usually dislikes explaining his reasoning as he goes—the stories' mystery often hinges on the fact that we (and Watson) have no idea what's going on in Holmes's head. Watson usually either a) picks up on it himself and explains it to the readers via narration or b) wryly notes that Holmes is loathe to explain his conclusions until he's sure he's right, and just follows along patiently waiting for him to solve the puzzle. The "Watson" trope is most likely derived from film adaptations, where Watson's narration in the books understandably needed to be replaced with dialogue, or from the books' various famous prelude scenes in which Holmes drops some near-telepathically-accurate deduction about Watson's personal affairs out of the blue, and an astonished Watson asks him to explain how the hell he knew that. And even that is becoming something of a Discredited Trope in modern adaptations. Elementary, for example, eventually makes Waston Holmes' apprentice, and she becomes an investigator at or near his level, to the point where Moriarty considers Watson her second Worthy Opponent. Because Watson beat her. Captain Hastings in several of Agatha Christie's Hercule Poirot stories, on the other hand, was most definitely The Watson—in fact, he resembled the flanderized Watson more than the original Watson did. The context of the page quote is that Poirot is refuting Hastings' belief that he has learned a lot from him, as he doesn't want or need Hastings to be a second-rate Poirot. (This is a contrast with the numerous occasions that Watson does correctly deduce something using Holmes' methods, or figures out the source of a deduction Holmes made a moment earlier.) He readily lampshaded this fact too, calling himself "the humble Watson" in jest. Dr. Sheppard fulfills this role in The Murder of Roger Ackroyd when Poirot is on a Busman's Holiday, providing the same first-person narration as Hastings while also explaining the lives of the townsfolk to both us and the newcomer Poirot. Several times Poirot affectionately compares Dr. Sheppard to Hastings. It's all an evil trick so the reader will be shocked when they find out Dr. Sheppard is the murderer at the end. Erast Fandorin is basically a Russian Sherlock Holmes with a large dose of James Bond added in, but in only one book of the 14-novel (so far) series does Fandorin have a Watson. In Special Assignments he takes on as a protege Anisii Tulipov, a rookie cop who is brave and good-hearted but by no means an expert in deduction. Tulipov has to have pretty much everything explained to him by Fandorin all the time. Most stories about a Utopia, particularly those written before the mid-twentieth century, tend to feature a lead character who is a Watson combined with a Naïve Newcomer. The plot generally consisted of the Watson being led around the utopia asking questions about how it works. The Exposition Fairy who lived in the utopia would then explain how the utopia worked in exhaustive detail. Really poorly thought out utopian novels did not combine this trope with the Naïve Newcomer and hence had the Exposition Fairy tell The Watson things they already knew for no apparent reason. Generally declined in usage after modern exposition techniques (i.e. "Show, Don't Tell") were developed. Examples include Julian West from Looking Backward by Edward Bellamy, Guest from News from Nowhere by William Morris, and the Botanist from A Modern Utopia by H. G. Wells. An example of a Watson who isn't combined with the Naïve Newcomer is Alice from Ralph 124C 41+ by Hugo Gernsback. In the Aubrey-Maturin series, Stephen Maturin acts as a Watson in all matters nautical, conveniently (for the reader) refusing to learn to tell one sail from another however long he lives on a ship. As the coronation duel unfolds in Deryni Rising, Nigel fires a series of anxious questions at Morgan and Duncan. Nigel is particularly disturbed at the tactical "mistake" of giving Charissa the first blow, but Duncan explains that allowing a woman the first blow, even if she issues the challenge, is one of the rules. The younger Kelson, especially in the first year or so of his reign, was tempted to use his powers directly against the archbishops (Loris and Corrigan) who were undermining his government by persecuting Deryni generally and Morgan in particular. Morgan and Duncan must remind him (and the audience) why such a direct to route towards conflict resolution is no solution. Derry asks key questions about the distance and using the spell when Morgan teaches him to join in long-distance rapport for his first reconnaissance trip in Deryni Checkmate. Early in The Bishop's Heir, Dhugal is present when Kelson uses his powers to question a sleeping Caulay McArdry, and more questions follow when Kelson breaks off to answer Morgan's distant Call and needs Dhugal's help to establish so distant a mental contact. Kelson reverts to being the questioner when working with Prince Azim Hur Hallaj to prepare for his role as a Moving Ward for Liam's killijálay in King Kelson's Bride. In Umberto Eco's The Name of the Rose, Adso (the narrator) is the assistant of a Medieval detective named William of Baskerville, and inquires into the latter's deduction methods as the reader would. Unsurprisingly, both characters were inspired by Watson and Sherlock Holmes. 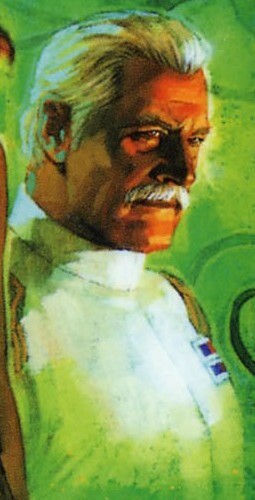 In The Thrawn Trilogy Captain Pellaeon serves as the villainous (somewhat) Watson to Grand Admiral Thrawn. He's also the best possible versions of Commander Contrarian and a protege. Definitely a protege. In the later duology, he may not reach Thrawn-levels of skill, but his tactical sense and intuition have clearly been honed. Interestingly enough, official artwork shows that he actually looks ◊ kind of like Watson—or at least the Watson played by Edward Hardwicke. Which rather fits, as it's easy to imagine Jeremy Brett with blue skin and glowing red eyes as Thrawn. In the Honor Harrington series, Haven's Committee for Public Safety stations a Political Officer on each ship to watch over (a.k.a. second guess) naval officers. They play a darker version of this trope because captains often have to explain and justify their decisions to people with no military training while avoiding any appearance of disloyalty to a regime that executes captains to fail to carry out their orders and their whole families. Inheritance Cycle: Eragon is always asking questions, to the point where a description of him one character gives to another includes "always asking questions". Ron is constantly making suggestions, forcing Hermione to sigh and explain that, if only he'd read Hogwarts: A History, he'd understand why it's impossible to... J. K. Rowling said she would never have Harry or Ron read Hogwarts: A History because it was too useful an expository device. This even gets a Lampshade; Hermione asks if they're ever going to read the book, and Ron says "Why? We can just ask you." Harry is just as much of a Watson as Ron, albeit one who serves a different purpose. Having grown up with Muggles, there's a lot he doesn't know that people who grew up in the wizarding world would take for granted (Quidditch? What's that, some kind of illness?). Ironically, it's often Ron who gets to be Mr. Exposition in those situations, since unlike Hermione, he grew up in the wizarding world, and is therefore the only one of the main trio to have that sort of knowledge. EVERYBODY is this trope for Albus Dumbledore. There's a "Dumbledore Explains It All" scene at the end of every book, except the sixth when it's not at the end. There's even one of those scenes in the last book, even though Dumbledore's dead at the time. A minor example is Colin in Harry Potter and the Chamber of Secrets—his opening scene is spent following Harry around asking him questions, allowing him to briefly explain Quidditch rules to anyone who didn't read the first book. Tom Swift generally has one of these on hand. In the "Tom Swift, Jr." series of books published in the 1950s, it was Bud Barclay. The Recycled INSPACE! series which followed in the early 1980s had Benjamin Franklin Walking Eagle. One Continuity Reboot later, The Watson was Rick "test to destruction!" Cantwell. Archie Goodwin, Watson to Nero Wolfe's Holmes. Archie is a capable detective in his own right, and would frequently figure out the murderer just as Wolfe does. Since he writes his "reports" for an audience, however, he usually doesn't let the reader in on it until Wolfe explains the mystery. Like Watson, Archie frequently gets flanderized into a dull-witted womanizer in adaptations, with only his outstanding memory being kept. In Robert E. Howard's Conan the Barbarian story "Beyond the Black River," Balthus. Conan repeatedly explains his acts, both how and why, to him. Both played straight and parodied/heavily lampshaded in A. A. Milne's The Red House Mystery, where the Amateur Sleuth Anthony outright asks his friend Bill to play Watson to his Holmes, specifically defining Bill's role as asking stupid questions and needing even the most obvious things explained to him. And indeed, this is what Bill does — but half the time he's asking the questions because Anthony tells him to rather than because he's actually incapable of figuring out the answers, and sometimes he gets fed up with his friend's Sherlockian pretensions. In the Simon Ark short stories, Simon's publisher (who is also the narrator of the stories) fills this role. A variety of characters fill this role for Horne Fisher, the central character of G. K. Chesterton's The Man Who Knew Too Much. The naive but pure-hearted Ten Ox plays this role to the cunning and knowledgeable sage Li Kao in Bridge of Birds. There's actually an early draft of the book that reveals the author had originally intended for Li Kao to be the narrator and Ten Ox to be only a peripheral character. Comparing this draft with the final product shows just how much the promotion of Ten Ox to this character role (and the addition of many plot elements) improved the book; for one thing, Li Kao's narration of his life story isn't quite as effective when he tells it in a drunken ramble to a skull in a pool as when he tells it to Ten Ox to assure him that he's not going to give up in his quest to heal the ill children of Ten Ox's village. Detective Sergeant Mary Mary in the Nursery Crime novels is a pastiche of the trope in British detective drama. Coming from outside the area she's somewhat Genre Blind to the mixture of detective and nursery rhyme tropes that dominate Reading, so DI Spratt has to clue her in on this as well as explaining the case to her. Peter plays this role in Peter and the Starcatchers. There's a whole chapter where Molly has to give him a long Character Filibuster to explain the history of the Starcatchers. Bertie Wooster sometimes has to grill Jeeves at great length to figure out what, exactly, is going on. P. G. Wodehouse was a big Sherlock Holmes fan and occasionally threw in a reference to the characters. Sister Fidelma, Irish nun and law official in the books by Peter Tremayne, has the Saxon monk Brother Eadulf, later her husband (which was allowed in the Celtic Church). In some of the stories where Eadulf doesn't appear, Abbot Laisran serves the role, creating an interesting dynamic since he's her superior in the church, but not in the courts. In the Magic: The Gathering novel Test of Metal, Doctor Jest often serves this purpose, giving Tezzeret someone to converse with and explain things to when the story demands it. Many Buddhist sutras are framed as a dialog with a disciple, usually Sariputta, asking Siddhartha questions that were or would be asked by others trying to understand. In David Pirie's Arthur Conan Doyle / Joseph Bell mysteries, Doyle plays The Watson to Bell's Sherlock Holmes. However, this is also a subversion: Doyle is not less intelligent than Bell, just decades younger, and their working relationship is often Teeth-Clenched Teamwork instead of friendly. The first book of Annals of the Western Shore, Gifts, has Emmon the lowlander asking Orrec and Gry about the titular "gifts" of the Upland domains, which allows them to tell the audience about them and how they shape society. A Mage's Power: Eric starts off as this trope, asking questions to inform the reader because he's new to the world of Tariatla. Then he spends nine days in a library and doesn't have to after that. At that point, he will recall stuff he'd learned at times where he would otherwise ask. In Tantei Team KZ Jiken Note, this is Aya's role when the KZ investigates. Her verbal abilities isn't the most useful in investigations, so her main role is to make detailed records in the eponymous case notebook. Journalist Hutchinson Hatch serves this role in The Thinking Machine stories; giving Van Dusen someone to explain his brilliance to. In the radio adaptations, his role is expanded and he becomes the narrator of the stories, much like the original Watson. In The Divine Comedy, the author writes himself into the story as an observer unfamiliar with the reality of the afterlives, putting him in the position to ask theological and moral questions that Virgil or Beatrice can answer. He also fits the trope by being the narrator of the story who is largely secondary to the plot, since the author can only get through Hell due to the holy protection of Beatrice. Waldo Butters was created to serve this role in Dead Beat. In general, Murphy or Molly usually serve as this. Angel: Gunn and Fred juggle between this role, with Gunn showing irritation whenever he meets another vampire he's not allowed to kill. Game of Thrones: Ros's function, particularly during the first season (besides being Ms. Fanservice), is to receive exposition. She was apparently created for the show to avoid "As You Know..." conversations. In Monk, Sharona Fleming (season 1-season 3) and Natalie Teeger (season 3-8) are this to Adrian Monk. In Magnum, P.I., Magnum had an annoying friend named Rick. His function in the series was to serve as a sort of surrogate for the audience on the more outrageous story points. He was always protesting, "C'mon, Magnum..." as in, "C'mon, Magnum, there's no way those crooks would trust us with $7 million in gold coins. It's ludicrous." (And this is exactly what the audience was thinking at that point.) Magnum would then calmly explain to Rick just exactly why the crooks would, indeed, hand over $7 million in gold. Rick would be convinced, and in theory, the audience protests would have been addressed as well. This page was, it should be noted, once named The Rick. The classic (1963-1989) series of Doctor Who featured countless characters that filled this role. The female companions evolved as the series went on, tending more towards the Action Girl; the last before the series was cancelled was Ace, a punk-rock teen who loved explosives and was willing to rush at a Dalek with a baseball bat if she saw one. They still fulfill the Watson role, though, since the Doctor is usually the smartest one in the room with loads more experience than everyone else. Interestingly, however, the Doctor himself is often The Watson, asking the natives of whatever time and place he's landed in what's going on and why they're doing what they're doing. In one episode (just after he's "lost" another one), the Doctor starts babbling to thin air, and then stops because he realizes no-one's listening. Interestingly enough, for the classic Who TV serial "The Talons of Weng-Chiang", this role is NOT played by the companion Leela. As the AV Club noted, the side-characters Jago and Litefoot fulfill the story's role of Watson - Jago behaves as the traditional film depiction of Watson being a pompous, boisterous, easily puzzled sleaze while Litefoot behaves as literature's Watson being a quiet, calm, observant gentleman. The serial "The Deadly Assassin" is the only one in the classic series to feature no companion, and was done to show Tom Baker that one was needed, since there was no Watson to act as audience surrogate to explain the plot to. Funnily enough, Sarah Jane herself gets her own Watsons in The Sarah Jane Adventures, in the form of Maria, Luke and Clyde (and later Rani). In this show it's the boys, and not Maria, who tend to get captured more often... though they are still savvy enough to get themselves out of it too. Gwen gets to fill this role on Torchwood. On House the role of House's Watson is played by every single character. One memorable example had House saying his staff's diagnosis was wrong, because they weren't wearing the right shoes — if the diagnosis was right, they'd all already be at a bowling alley. Since Gregory House is heavily based on Sherlock Holmes, James Wilson is the main analogue to John Watson. Once when House was separated from his regular Watsons, he drafted three random travelers and a janitor to serve as Watsons in a pinch. The janitor suggested Lupus as a possible diagnosis. Every single character in every single episode of every single CSI can be the Watson. They find some rash or bacteria or wound or something on the corpse and then go on explaining what that means to the nearest character. Since that character is supposed to know that stuff as well, the whole dialogue turns into a circus of finishing sentences for the other character. In Grissom's last episode, Hodges says he's Watson to Grissom's Holmes. Grissom reminds him that Watson was a genius in his own right. The ditzy lab assistant in the "Science Fiction Sketch" on Monty Python's Flying Circus is very much a parody of the type; she exists simply to look pretty and have Graham Chapman's character explain the plot to her. He eventually becomes so frustrated with her stupidity that he knocks her out and explains the plot to himself instead. Gus from Psych, one of the few characters in on the Masquerade, whose fair intelligence and relative lack of observancy make him just short of an Expy of Watson himself. The gap between his character and Expy status closes even further when you consider how often his pharmaceutical knowledge (an update of Watson's medical training) plays into solving cases. In Red Dwarf, the Cat, Lister and Rimmer tend to share Watson duties, with Holly and Kryten acting as Mr. Exposition. This becomes extreme in the scene explaining the stasis leak, where Cat has to ask "What is it?" four times to get simpler and simpler explanations. In Lost, it's Hurley. Officially; it was lampshaded by the executive producers in a podcast. Clark Kent from Smallville fits this in that he's usually the one giving Chloe an opportunity to rattle off a short explanation of whatever clever trick she came up with. He usually wears his Big Dumb Alien expression to complete the cliche of Watson being a bit slow. Applies to Maddy, Carla and now Joey in Jonathan Creek. Whenever somebody in Stargate Universe explains something about how the Stargates function, they're explaining it to Eli. He's by far the least experienced of the bunch, though arguably more intelligent than most of the people explaining stuff to him. Jack O'Neill of Stargate SG-1 was the same. While a Colonel Badass and good leader, he'll still have to ask the two geniuses or the alien about whatever bit of Applied Phlebotinum is about. Whether or not he was portrayed as generally unintelligent, or merely needing to leave blowing up suns to Samantha Carter, wavered. Seldom if ever did Jack O'Neill fail to grasp what was going on. He was just a huge fan of Obfuscating Stupidity and had little patience for Techno Babble. The core cast of Lexx had a pretty clear division between Holmeses and Watsons. Kai was 2000 years old with thousands of strangers' lifetimes in his memory, 790 was a robot with knowledge of every sector in the universe (and wireless internet directly to his brain), and Stan and Xev were illiterate fugitives from a world where humans lived in boxes and were taught nothing more than needed to do their jobs. They not only needed explanations for Polarity Reversal and star lifting , but also for concepts like books. Kai: Books contain useful information... sometimes. And interesting stories... less often. Illya Kuryakin played The Watson at the climax of the third season The Man from U.N.C.L.E. episode "The Five Daughters Affair, Part II": THRUSH operative Randolph, having gotten Dr. Simon True's seawater-to-gold extraction formula away from U.N.C.L.E., is gloating before Solo and Kuryakin. Randolph: Imagine, tons of gold, tons! Pouring into our storage vats. [Kuryakin raises his hand] Yes? Illya Kuryakin: Won't this Midas-land master plan defeat its own object? With gold as plentiful as dust, won't it lose its value? Randolph: We will control its rate of release, don't you worry. Wallace Fennel is the Watson to Veronica Mars, especially at the start of season 1, since he is new to Neptune. Donna usually played this role in The West Wing, at least in the early years. Her job was to badger Josh with all the questions the audience was asking, "But Josh, why is policy x important?" "Josh, why should we loan Mexico millions?" In the later seasons she received Character Development and moved beyond this role, occasionally needing her own Watson. In scenes involving the military and the Situation Room, President Bartlet would often serve this role. While hardly the everyman, it was frequently discussed how he had had no military experience prior to taking office, and so would frequently need his military advisors to explain things to him (and consequently the audience). Booth to Brennan in Bones, though it could argued that they really ping-pong the role between them depending whether they're dealing with the forensic or detective aspect of the investigation. But when you consider Booth's past as a soldier in the Middle East and the fact that Brennan is a doctor consulting to law enforcement you can clearly see their fictional lineage. The Squints are unquestionably the Baker Street Irregulars. The police with whom the BAU team up in Criminal Minds often serve this purpose. Each episode has a scene where the team deliver a profile explaining the killer's psychology to the police, and thus also to the audience. Occasionally subverted when the cops grab the wrong end of the stick and completely misunderstand the profile, or think about it and realize it applies to half the local population. On The A-Team, Face was usually this to Hannibal when he explained that episode's plan, bringing up potential snags and problems that they could run into, but Murdock, B. A., and/or (in the early seasons) Amy or Tawnia could fill this role instead or simultaneously. In Prison Break, Sucre was The Watson to Michael during the first season. Lampshaded by the actor, who commented on how his main role in the plot was to ask Michael "what are you doing?" or "what do we do next?" In later seasons, this role would fall to whoever happened to be with Michael at the time, such as Lincoln and Sara. Mahone also had his own Watson during season 2, but since Mahone was a baddie at the time, it didn't quite play out the same way. Tori Vega in Victorious, as a New Transfer Student who is a talented musician but untrained, is this with her asking questions that the rest of the cast can then explain what certain theatrical or musical plot relevant terms mean in case the audience don't know. Teresa Lisbon to Patrick Jane in The Mentalist. In Eureka, Jack Carter is the Watson to most of the other characters in rapid succession so they can all have a go at explaining the current threat and science behind the solution. Daphne played this sort of role in Frasier, asking the Cranes to explain what the hell they were talking about whenever they got involved in something pertaining to their younger years or family affairs (which was many, many episodes). This was so the Cranes would have a legitimate reason to tell a hasty expository story that they all already were clear on about their past so the audience knew what the problem they had this time was. Roz occasionally fulfilled this role too. On the BBC modernisation of the Trope Namer, Sherlock, this role is filled by Doctor John Wat-[Beat] Ah. Right. He didn't replace a head of cabbage though, he replaced a skull. John Watson: I don't understand. Notably, exactly the same joke is made by Zaphod Beeblebrox about Arthur Dent, who has also been played by Martin Freeman. This varies considerably from episode to episode. For instance, in the pilot the villain has Sherlock neutralized with mind games when Watson tracks them down and snipes him with a pistol from another building. By the third season they're much more partners with their own strengths, and Holmes had taken to just blurting out stream of consciousness exposition whenever it occurs to him. Every UK detective drama features a stolid Detective Sergeant or Constable who the Detective Inspector can explain things to. Inspector Morse had Sergeant Lewis, then Inspector Lewis had Sergeant Hathaway. DCI Jim Taggart had DS Michael Jardine and DS Jackie Reid, then DCI Jardine had DS Reid and DC Stuart Fraser. Currently DCI Matthew Burke, DI Reid and DI Robbie Ross have DS Mita Rahim. Midsomer Murders: DCI Tom Barnaby had Sergeant Troy, replaced first by Sergeant Scott and then by Sergeant Jones, who continues to serve as the Watson to Barnaby's Suspiciously Similar Substitute cousin, DCI John Barnaby. DI Jack Frost of A Touch of Frost has a rotating cast of sidekicks. The most prominent ones are DS Hazel Wallace and DS Clive Barnard. The ITCH episode of Neveneffecten is a play on all the tropes in police detective series and uses the Watson to explain the concept of the Watson with the following dialogue. Of course you don't, that's your function. This allows me to explicitly explain things. Similar to the Frasier example above, Robin was this in the first two or three seasons of How I Met Your Mother, asking questions about situations or conversations that relied on backstory from Ted, Marshall, and Lily's long, closely-shared history together so that the characters (or Future Ted) had an excuse to explain it to the viewer. It's implied Barney has had most of these things explained to him before 2005. By season 3-4, Robin (and the audience) had already gotten a huge amount of pre-series backstory and isn't much of a Watson anymore, and so the writers started to rely more on in-show established continuity to form the basis of these kinds of stories, usually heralded by Future Ted remarking "Kids, remember how I told you about that time..."
Mike Rowe of the documentary series Dirty Jobs is a professional Watson, learning the ropes of his latest dirty job from his bemused temporary co-workers. In fact, many presenter-led documentaries use this technique. An interesting variation happens on Columbo where the Watson is played by the murderer of the week who tries to use this relationship with the eponymous detective to try and veer him off their scent. It never works. They always slip up somewhere, and Columbo picks up on the critical clue. The Inspector Lynley Mysteries has both the main characters do this! Frequently it's Deuteragonist DS Barbara Havers to her partner (the titular DI Thomas "Tommy" Lynley), but it's not uncommon for him to be her Watson as well. Carter fulfills this role in the first season of ER. He's the the new medical student so the other doctors (mostly Benton) explain how things run at the hospital and many medical stuff too. In Murdoch Mysteries, Crabtree, Brackenreid, Dr. Ogden and Dr. Grace all play this role at different times in different episodes. Later episodes have Constable Higgins do this, especially when Higgins is trying to understand why Murdoch wants something done. Murdoch and Brackenreid often rely on Crabtree to do much of the legwork in interviewing witnesses, looking into interesting leads, and so forth. Joan Watson of Elementary, naturally. Like her namesake, she is exceptionally bright in her own right; her main purpose for the audience is to ask the necessary questions to get inside Sherlock's head, since otherwise no-one would have the slightest idea what's going on upstairs with him. Ironically, this Watson begins to avert the trope a little as she increasingly becomes a competent detective under her own steam and needs fewer and fewer explanations from the main man. As of the start of Season 3, she's taken Sherlock's role as a private detective and police consultant, due to his absence. From then on, Detective Bell increasingly gets to play the straight man, and Watson is more likely to finish Holmes' sentences, so to speak. Jesse takes this role in Breaking Bad whenever Walt has to explain the chemistry behind what he's doing. On The X-Files, Scully plays Watson to Mulder's Sherlock, especially in the early seasons. The only time this switches is when Scully is performing an autopsy, though even then she's forced to try and decode Mulder's unusual thought process and the strange leaps of logic he's taking with the information she's in the process of giving him. Twin Peaks: Diane, a character who is never seen or heard. When recording his observations and thoughts on tape, Special Agent Cooper addresses her by name. She is most likely his secretary at FBI headquarters, although her identity is never actually stated. Jane Doe, the protagonist of Blindspot, has Identity Amnesia and works with a team of FBI Agents to find out why. Given her incredible skills, she probably once had a working knowledge of whatever the team might be discussing in any given episode, but since she can't remember any of it, she is the one asking such questions as, "The dark web? That sounds bad, what is that?" so that the audience can learn. Le Bret. Half of his dialogue is asking Cyrano the same questions the audience must be asking (why in hell did you do something so jerkass/ stupid/ self-destructive) and letting Cyrano explain what's going on. The other half of his dialogue is scolding Cyrano for being a jerkass. Subverted by the Duenna. She asks Raguenau why he intented to kill himself. After his response, she changes the conversation. Mary Lennox in the musical version of The Secret Garden takes on this role temporarily when Mrs. Medlock introduces her to her new home, conveniently telling Mary all the backstory of the home and the family for the audience to hear. Little Sally from the musical Urinetown is a parody of this. And he happens to be the most (only?) reality-grounded character in Super Smash Bros. Brawl to boot, making for some hilarious codec calls where he tries to come to grips with the weirdness of the game. Barret in Final Fantasy VII is always the person asking the obvious question and saying what the audience is supposed to be thinking, which has the effect of allowing Cloud to come off as knowledgeable and experienced. When Cloud tells the story about what happened in Nibelheim, Barret's frequent questions highlight details that the audience ought to be paying attention to, like when Sephiroth mentions his mother having the same name as the unspeakable monster the party had previously encountered. There may be some connection to his epiphany in late game where he decides he's a lot better at being The Lancer than being a leader, and appoints Cid leader just so he can have someone to ask questions to. In Final Fantasy X, the Player Character Tidus fakes amnesia so that he can play the Watson to the rest of the cast (he actually has a real reason for not knowing the the things he asks about, but it doesn't fly too well with the xenophobic people he hangs around with). Unfortunately in order to make sure that every player is keeping up with the plot, Tidus finds himself constantly bugging people for exposition, to the point where his friends aren't sure if he's actually amnesiac or just an idiot. Fortunately for everyone, he gets better as the plot goes on. It gets to the point where Lulu starts explaining things before he even asks, leading him to comment that she's gotten so used to him asking questions that he barely needs to ask anymore. A quote from Lulu after one too many explanations : " Are you sure it's not your brain that's the problem?" Word of God has this as Dom's role in Gears of War, to give the audience a voice without bringing players out of the experience as Marcus. Leonard, the main character of White Knight Chronicles (as opposed to your avatar who represents you, but has little story relevance). The other characters start Lampshading it early on, with a random chatter once the game proper kicks off involving two characters remarking on how bizarre it is that Leonard knows nothing about Bigelows — who form the backbone of communication in The Verse, with their flight and ability to transmit images and voice between a pair allowing them to act as the setting equivalent to e-mail. In Mass Effect, Liara takes this role. Due to Shepard having an entire library of Prothean data downloaded into their mind via one of their Beacons, this leaves Liara, as a Prothean expert, to try to delve inside the sheer masses of information present in Shepard's mind and attempt to understand what their visions actually mean. Shepard him/herself, particularly in the first game, to the point of making, "What can you tell me about [thing]?" a minor meme. Most of this dialogue is optional, but Shepard still serves the purpose of letting other characters speak at length about various things, even when there's really no clear reason why Shepard wouldn't already know what they tell him/her. James Vega, the only new (non-DLC) squadmate in Mass Effect 3, is essentially this, serving as an outside observer of the merry gang and connections network that Shepard gathered in the previous games and easing in the introductions for new players. George tends to be this to Nico in Broken Sword. George is a clever adventurer and problem-slover, but he knows virtually nothing about his environment (Paris). Nico's main contribution to the plot is reminding George being a foreigner allows Nico to be Mr. Exposition for the player without seeming like she's repeating pedantic information. Various NPCs and companions in the Dragon Age franchise fill this role as needed to either the Warden or Hawke. The dialogue wheels for both player characters allow the player to ask questions, or not, about the background of Thedas and the history of the Grey Wardens and whatever else they don't already know, depending on how many times they've played the game. You, as the unnamed protagonist, fill this role to Edgar Allan Poe's C. Auguste Dupin in the Dark Tales PC games. Dupin is, in-universe, the master detective and hero of the games, but as the player character, you're the one who actually does all the work; Dupin mostly functions as Mr. Exposition. Simultaneously suffering from amnesia and having lived most of his life in his family's manor with little to no exposure to the outside world, Luke from Tales of the Abyss makes for a perfect Watson. The Avatar in Ultima IX is a prime example of this trope done poorly. Having not only been to Britannia multiple times, but helped shape much of its history, suddenly he's given the option to ask about even the most basic things even though he should be familiar with them already. Fina from Skies of Arcadia knows almost nothing about any of the civilisations of Arcadia, having grown up in isolation in the Silver Civilisation. Ergo, it is her job to ask the questions that the audience cannot. And get a laugh or two out of them as well. Very late into Persona 5 a very complex Gambit Roulette is pulled off with the end result being the Protagonist barely avoiding getting killed by Akechi, with him none the wiser. Most players won't completely understand what happened, so it ends up being explained in-universe to Sojiro, who's confused as to why the media is reporting that the Protagonist committed suicide and how they figured out that Akechi was planning to assassinate him. Lion Ushiromiya plays this role to the detective Willard H. Wright in the seventh arc of Umineko: When They Cry. After a while they even start to refer to each other as "Watson" and "Holmes". Eric in Zero Time Dilemma is a rather dark example of this trope. When he doesn't understand what's going on, he tends to demand answers from the other heroes at gunpoint. RWBY: Sun grew up in Vacuo and is being educated in Mistral. He has never been associated with the White Fang or visited the Faunus island of Menagerie. As a result, he isn't privy to the inner workings of the terrorist organisation or the realities of life on Menagerie. As Blake is from both, she is able to teach him what they're like; through this the audience learns how the White Fang turned from a peaceful civil rights group to a terrorist organisation and why life on the island is difficult. In the webcomic Erfworld, the character Parson acts as both The Watson inside the narrative and Mr. Exposition through a diary. Redcloak has a procession of short-lived hobgoblin cleric assistants that can cast Transmute Redcloak to Mr. Exposition at will. Word of God says that this was always the same guy, Jirix; he just kept getting resurrected off-screen. Qarr the imp has become The Watson to the Inter-Fiend Cooperation Commission. Chancellor Kilkil serves as this for Tarquin. Seonga is this to Frost's Sherlock Homage in Dr. Frost. Justified, in that she's a psychology major who lacks experience, but has proved incredibly helpful and insightful. She's also growing as a budding psychologist. As pointed out in Hark, a Vagrant! Dr Watson does seem to get unfairly flanderized in most portrayals outside of the original Sherlock Holmes novels. In Templar Arizona, Ben is the Watson most of the time, because the work is partly about this weird town, but there are aspects of the alternate-historical universe familiar to Ben but not us; for this, there is a new Watson (Mesmer ) with an even more sheltered upbringing. Anna and Susan both act as this in Sire. The Sanity Circus: Attley's lack of understanding about magic conveniently means that the audience can get filled in on this universe's system of magic too. She also doesn't appear to know anything about Scarecrows, even though Fletch does — prompting explanations from Mr. Sparc. Pohatu rapidly became this in the BIONICLE serial The Powers That Be, as he was trying to solve a murder mystery with the increasingly Holmsian Kopaka. Given his Running Gag of asking for clarification every time he hears a new name, this makes sense. This is a big part of Sparadrap's role in Noob, in addition to Forgetful Jones tendencies that allow him to ask the same question at different points in the story or re-ask basic questions that should have realistically been dealt with before the story even started. Noob: Le Conseil des Trois Factions has Tenshirock and Judge Dead's family therapist play this role to avoid Continuity Lockout on their situation. Gaea also spends a big chunk of the movie with nobody to talk with besides Meuhmeuh, making the latter ask her questions so she can explain her plan. The entire premise of Futurama is Fry ending up in situations that need to be explained to him because of the thousand years that went by without him. Holy crap, there's a theme park on the moon!? Hilariously, on multiple occasions a new character will be thawed out (Fry's ex-girlfriend and That Guy from The '80s) and become Fry's Watson, which not only demonstrates his considerable ability to acclimatise (read: there's still TV and beer, so he's just dandy), but also gives him a chance to show how little he retains of what he's learned. Originally, the creators envisioned the show being about Fry's difficulties adapting to the future, however they eventually realised there's only so many Fish out of Water moments you can make, so they instead started to focus on Fry being stupid instead. Watching an episode from the first season then one from the most recent season, there is a clear difference in both the plots and Fry's attitudes. In the My Little Pony: Friendship Is Magic episode "MMMystery on the Friendship Express", Pinkie Pie tries to investigate who sabotaged a cake she was guarding, and forces Twilight Sparkle (normally The Smart Guy) into the role of "my lowly assistant who asks silly questions with obvious answers." When Pinkie's methods (which largely consist of making wild, baseless accusations) prove ineffective, Twilight manages to get Pinkie to switch roles. Once Pinkie starts to understand the importance of getting all the facts, they switch again so she can solve the mystery of who ate all the other desserts on the train.